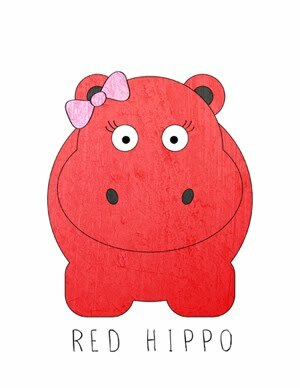 Red Hippo: mama to an eighteen month old. it took a little while for sailor to come into his own. he was shy and quiet for a really long time (since birth, actually). he has always been sweet and snuggly, and really really clingy. honestly, he took so long to take his first step, that we were all a little nervous that he was never going to walk. finally, he took his first steps (around 16 months) and started to walk exclusively around 17 months. now, he's walking all over the place and doing a little "toddler run," when he chases easton. sailor has (weirdly and totally randomly) taken after easton's hat obsession. 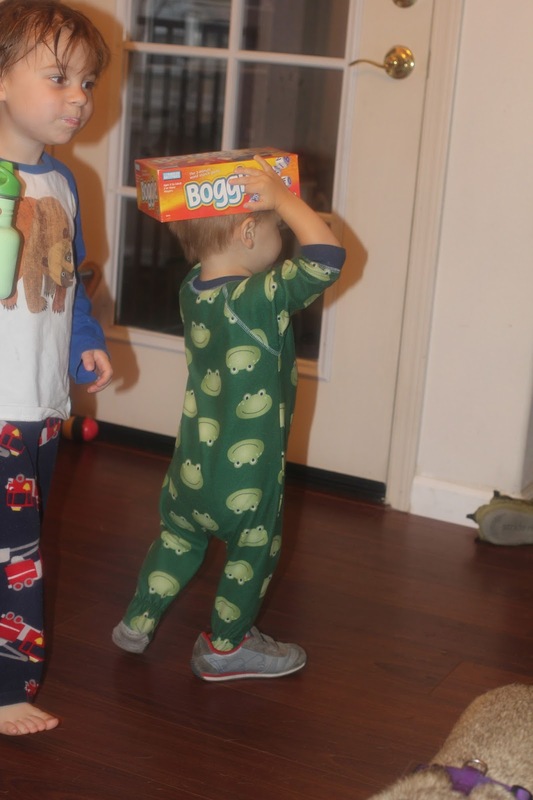 he puts food on his head, boxes, and actual hats, of course. he sleeps with an A's hat every single night, and plops down as soon as i give it to him. one night he cried until i told him that i'd bring his hat if he stopped. i walked out of the silent room to grab his hat, as soon as i handed it to him and said, "lay down, now, sailor boy" he threw his little body on his mattress and put his hat over his head. too sweet. he loves to walk molly, holding her leash. he is quite demanding, in his squawking (he uses very few actual words) and let's me know exactly what he wants, ALL THE TIME. sailor is totally down with the big kids, and tries to get in on the fun when easton has a friend over. he wants to be a big kid, these days. sailor is the climb-y-est toddler i've ever seen. he tries (and most of the time is successful) to climb everything. he even tried to scale a headboard, while i was staying overnight at a friend's house. sailor climbs on top of the table, the chairs, and right into his high chair. one morning we woke up to sailor, sitting in his high chair waiting for food. no joke. he is truly physical, and pushes easton when he's trying to be funny, and jumps on my bed morning, noon, and night. i am so in love with this little boy. my only regret is that easton is so clingy that sometimes i feel like i can't give more attention to sailor. i suppose that's the second child curse. sailor boy, is my beloved. be still, my heart.